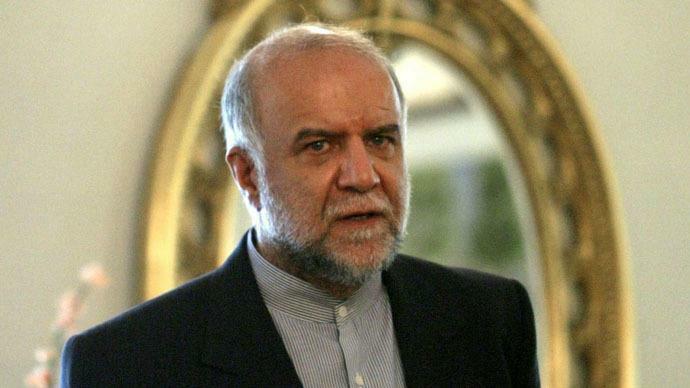 Iran and Iraq have agreed to develop two oil and gas fields, Iran's Oil Minister Bijan Zanganeh told reporters following the talks with Iraqi Oil Minister Samir Gazban. The discussions were held on the joint development of two gas fields in NaftShahr and Khurramshahr, Zanganeh added, Trend reports referring to IRNA. He added that Iran and Iraq have already reached an agreement to develop joint projects. Regarding Iraq's gas export debt to Iran, the Iranian minister said that Iraq has about $1 billion-debt to Iran. The Central Bank of Iran will monitor the issue of Iraq's paying off the debt, he said. Zanganeh added that the Iranian companies having rich experience in oil, gas and petrochemical industries can participate in the implementation of projects in Iraq. The representatives of Iraqi companies will visit Iran and discuss the format of cooperation and exchange experience, he said. Zanganeh said that Iraq is a developing country. Many oil projects are being implemented and there are many areas of cooperation, he added.